Christopher Dorner is dead … officially … now that officials say they have POSITIVELY identified the killer’s remains. Officials say he was identified through dental records. 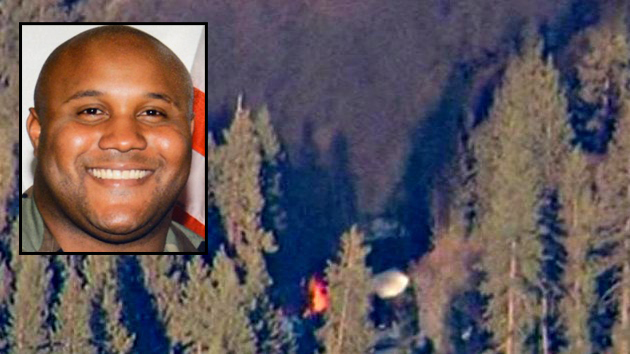 Dorner died in a remote cabin in Big Bear, CA — where he engaged police in an intense gun battle. Dorner shot and killed one cop in the firefight and wounded another. Cops had been chasing Dorner for days after he allegedly killed 3 people earlier in the month, including another police officer. We are glad this ordeal is over.We did not want to see anymore innocent people hurt. This entry was posted in Gossip and tagged Christopher Dorner, LAPD, Rhea Bea. Bookmark the permalink.